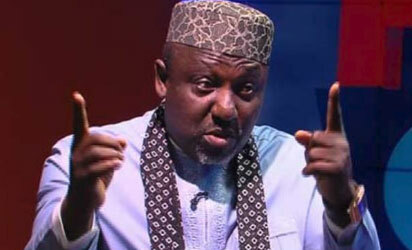 The Imo state Governor, Rochas Okorocha, who is often in the news for taking actions that stand him out from other Governors, has again being in the news for yet another unique act as he has declared 18 days Christmas holidays for Imo workers to enable them have a wonderful celebration of the yuletide with their loved ones. A statement by the Chief Press Secretary to the Governor, Mr. Sam Onwuemeodo, said the state’s workers will embark on the holidays on Friday, December 22, 2017 and resume work on Monday, January 8, 2018. The statement however said that workers on essential duties were exempted from the holidays. Governor Okorocha also said that government gives workers in the state workforce reasonable time every Christmas to enable them celebrate with their loved ones. Recall that recently, the Imo state governor sparked controversy from within and outside Nigeria after he erected a statue of Jacob Zuma of South Africa in Imo state in what he described as a recognition of the roles the South African president has played in Africa. Meanwhile, the South Afrcan president has corruption allegations round his neck in his country. Both South Africans and Nigerians had taken to social media to condemn the erection of Zuma’s statue in Imo state which Governor Okorocha said it cost him N500,000 million naira. As if that dust went down, and yet again, the Imo governor then caused another bombshell when he created a new ministry in the state called Ministry of Happiness and Purpose Fulfilment and appointed his sister as the commissioner. Then Nigerians went talking about Imo state and its governor again. But the governor has always meant well for his people. Just that many misconstrued him.